Armeg Scutch Combs 25mm - 5 Pack - ONLY £3.99 (+VAT) - SAVE £1! Armeg scutch comb chisel - the ideal masonry preparation tool for electricians! 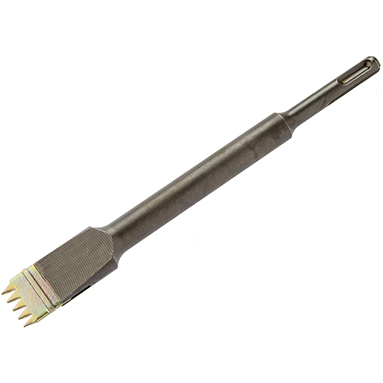 This scutch chisel is specifically designed for channelling, levelling, chiselling and easy masonry removal. The scutch comb holder is precision machined and fully heat-treated for maximum durability. For use with SDS+ hammer drill with rotary stop. Uses 25mm scutch combs. 1 year guarantee.